← Forest City London Music Awards. 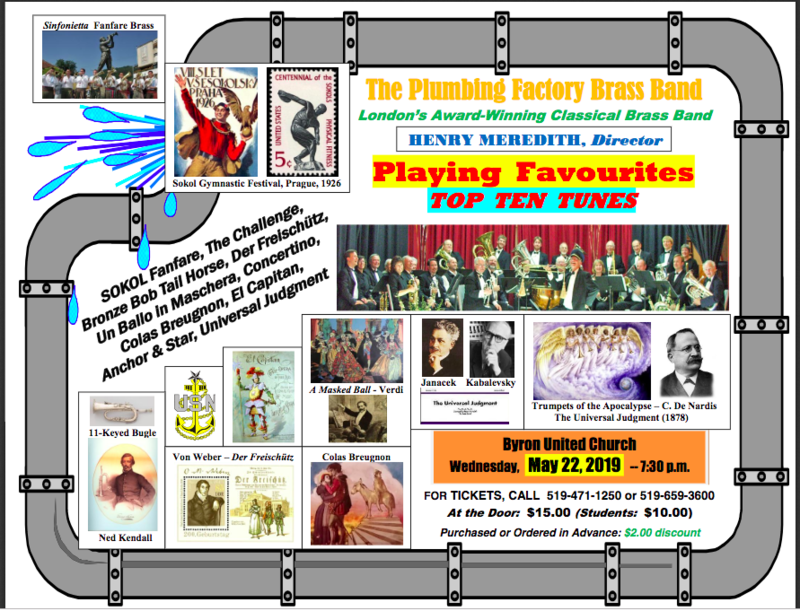 In their two dozen years of entertaining southern Ontario audiences, the Plumbing Factory Brass Band has become known for performing eclectic repertoire exemplifying all eras and styles. However, they are one of the few brass bands today specializing in music from the “Golden Age of Brass Bands” (circa 1850-1950). 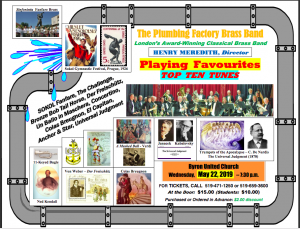 Their next program, on May 22nd, offers the diversity and rarity of selections audiences have come to expect when they attend a concert by the PFBB. Glorious brass sounds will surround the audience for the opening Sokol Fanfare from Leo Janacek’s Sinfonietta, and the “Trumpets Shall Sound” from every corner of the heavens in De Nardis’s 1878 prize-winning symphonic poem, Universal Judgment, Dr. Hank’s prime candidate for the best band composition ever written. Two more pieces present extraordinary demands for the PFBB – an appropriately named test piece, The Challenge, and the persistently presto overture to Kabalevsky’s opera Colas Breugnon. 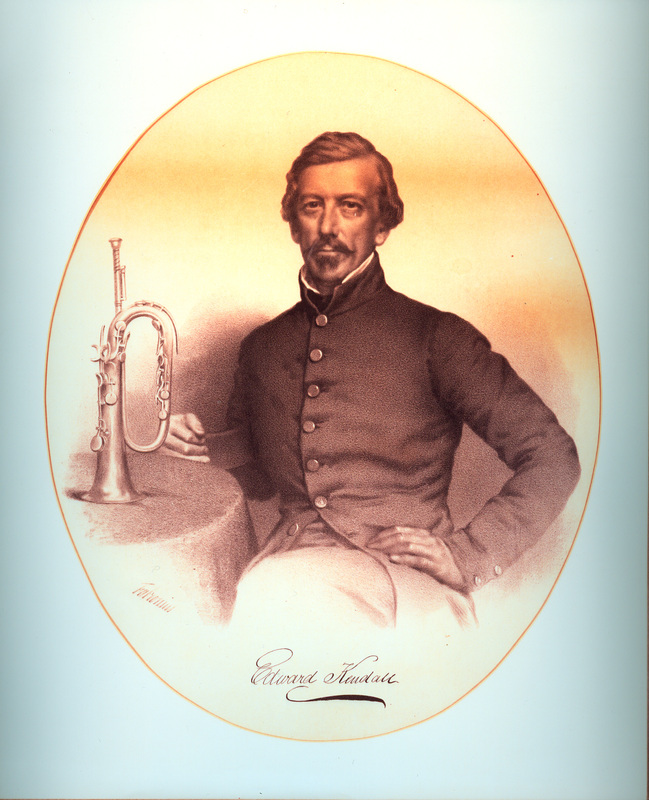 A set of mid- 19th-century band favourites includes a medley quick step based on Stephen Foster songs, two arrangements of opera excerpts, from Weber’s Der Freischütz and Verdi’s Un ballo in maschera, and an original Concertino for E-flat cornet and brass band, played on the soprano keyed bugle by director Meredith. Two Sousa marches round out the program – El Capitan (employing themes from his operetta of the same name) and Anchor and Star, featuring his longest obbligato for regimental valveless trumpets. by $2. Refreshments and conversation will follow the concert.